The first swift of the year is a notable date in any patch-workers notebook, as the last of the migrant breeders to arrive it marks a bit of a milestone in the ornitholigcal year. 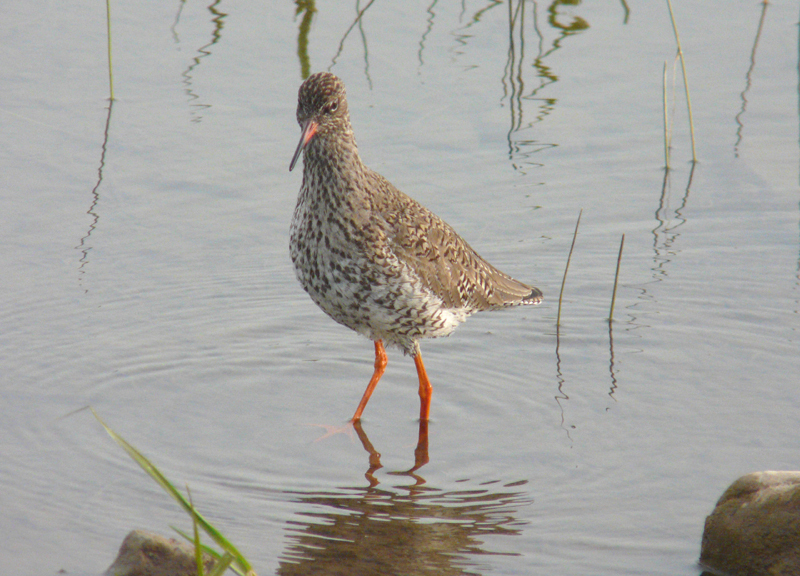 I saw my first swift of the year today and it was at Druridge. It's arrival was overshadowed by another migrant this morning, a much scarcer spring bird on the coast - whinchat. 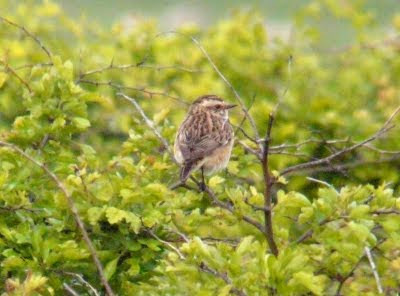 Whinchats are hard to come by in the spring on the coast, much more obvious in the autumn, so this one was nice to see. In 2009, I failed to see whinchat at all at Druridge. A single white wag was the other notable passage visitor. Two male blackcaps were vying for territory by the Budge screen and whitethroats were still singing strongly. 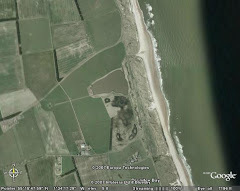 I recorded 48 species at Druridge in three hours this morning, without a seawatch. 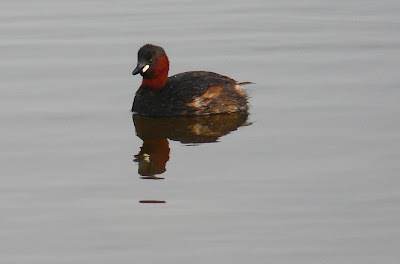 I reckon with a seawatch I could have easily seen 55 species, over a third of the average yearly total! 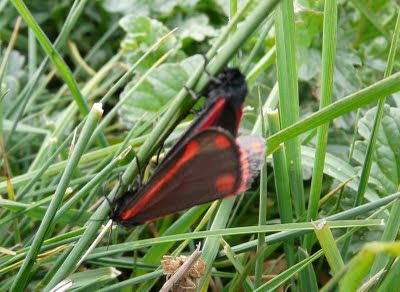 The warmer conditions this morning may have been responsible for a hatch of cinnabar moths - they were everywhere! Cinnabar moths - at it! On the big pool, these two were making a racket. I've only had whinchat twice in the spring Ipin, much more chance in the Autumn. I see you've got the Cinnabars too! I had a whinchat on thursday too !